the cleanest v star custom you will find. YOU CAN AFFORD TO HAVE AN ATTITUDE. Plenty of attitude in a surprisingly lean and low package - priced to leave more room in your pocketbook to express yourself with cool Star accessories. Now there's no reason to settle for less than a real Star. Maintenance-free 12 volt 10 AH battery ensures reliable, no-fuss starting. Flat, drag-style handlebars and bobbed fender evoke a look that’s both sporty and stylish. 41 mm aluminum telescopic front fork with 5.5 inches of travel and tube protectors ensures a smooth ride with stylishly sporty durability. Dual exhausts, steel fenders, custom-looking clear turn signals, lots of chrome, etc. 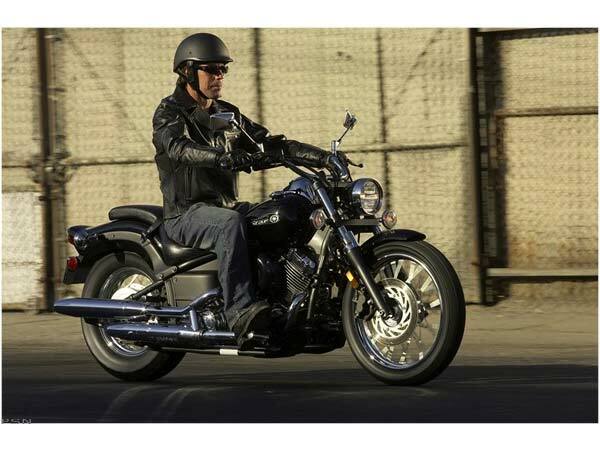 - the V Star Custom represents tremendous cruiser bang for the buck. 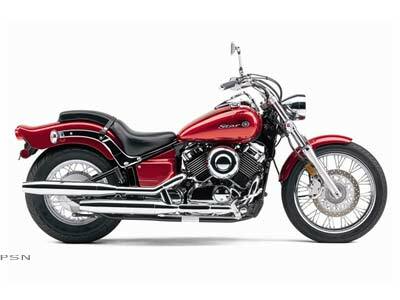 Beautifully chromed and polished 40 cubic-inch (649 cc) air-cooled, SOHC 70 degree V-twin cranks out torquey low- and mid-range power with minimal engine rpm - maximum torque is reached at only 3,000 rpm - for powerful, smooth cruising performance.